Our string instructors will teach all styles of music, from learning to play by ear to reading music. If you want to play classical music or the fiddle, we have a teacher for you. Students can be as young as 7 years old, or younger with the teacher's approval. Our students love learning the fundamentals, as well as incorporating your favorite songs into their lessons. Our violin teachers have friendly personalities and love working with children and teens and adults! Your child will change instruments as they grow. Our teachers will help you choose the right size violin for you! You can expect to spend about $25 per month on an instrument rental and most places will allow you to "rent to own." WHAT WILL I LEARN IN VIOLIN LESSONS? Our string teachers understand that every student is an individual, with personal musical needs and goals. We make it a priority to tailor how we teach and what we teach to your individual needs. 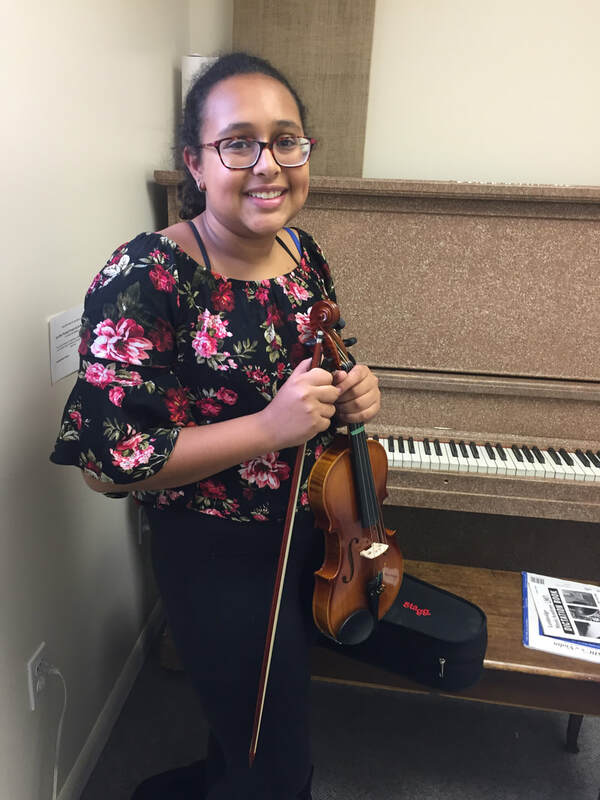 If you enroll here for violin lessons, your teacher will ask you about your favorite type of music, and set goals to help accomplish whatever musical aspirations you have for yourself or your child. Together, you will develop a plan to achieve your goals! We love beginners, so even if you don't know where to begin, we can help! We teach all styles from jazz, country, worship, and classical. We combine the important fundamentals with the music YOU want to play. With all of the teachers at Lethbridge Music Academy, you are sure to find the best match for YOU. ARE YOUR VIOLIN INSTRUCTORS QUALIFIED? Our string instructors are highly qualified, all have teaching experience, and most importantly, they have a passion for teaching. Being a musician doesn't automatically make you a teacher--that's why we search for those who are best qualified for mentoring our music students! We search Lethbridge and Southern Alberta for the top teachers, who embody the high values at Lethbridge Music Academy. Most importantly, our instructors strive to relate their teaching to each individual student's learning style. Many of our instructors have gone on performance tours and have years of professional performance and teaching experience. In addition to their teaching credentials, our teachers have warm personalities, are extremely friendly, and strive to get to know each student and their parent on a personal level. We search high and low for the BEST teachers, so you don't have to! HOW LONG DOES IT TAKE TO LEARN TO PLAY VIOLIN? There is no set answer of how long it takes to learn to play violin. With regular practice, a basic level of playing can be accomplished in a few months. Most of our students take lessons on a long term basis because they want to be constantly improving and they find the lessons enjoyable.